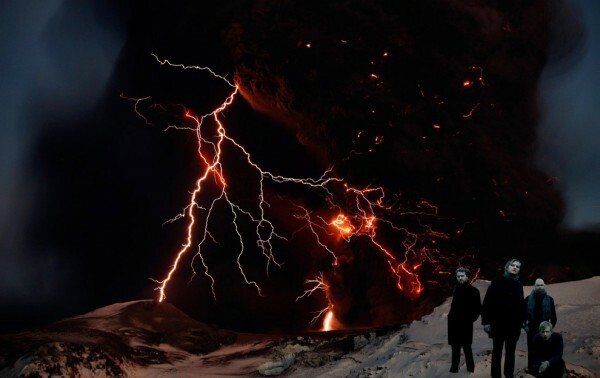 Well, it was a sad day to find out The Mary Onettes had canceled their US Tour do to that damn volcano (which I still can not pronounce) that is disrupting the entire globe. How did I found out about this sad news you ask? I went to the Viper Room website and noticed they weren’t showing The Mary Onettes on the calendar list for April 29th. I being somewhat neurotic had to find out why and sent and email to their info department. I honestly didn’t think I was going to receive a reply, but in a matter of seconds I did! I have to give a shout out to Sarah Berkowitz at the Viper Room for her quick response of the sad news, but she did inform me that The Mary Onettes are going to try to reschedule their US Tour in the fall after their European Tour. Let’s keep our fingers crossed on this one. In other Swedish Indie news The Radio Dept. is releasing their new album Clinging to a Scheme today! Go get it! This entry was posted in Concerts, New Releases, Swedish Indie. Bookmark the permalink. I was also sad but elated by the news that their tour had been canceled, elated because I was about to spend way too much to fly to see them since they weren’t going to play anywhere near my hometown. Maybe now we’ll get the chance – Ben of Paquin Entertainment said they had some engagements in the far frozen north, so here’s hoping a few months we’ll get another chance. Also, glad someone else is in love with the Swedes/Legends/Radio Dept/Slowdive/Dream Pop. Have you checked out Johan’s side project the Pallers? Pretty good stuff. Hi and thank you for reading the post! Yeah I’m praying they’ll have a chance to come out to LA area, because I have a feeling they would be a great band to see live. I have heard of the Pallers and the song”Humdrum” is a great song. So far that’s the only song or EP that I’m aware of. I hope they release a full album soon.